I’ve been running ragged since I got back from my trip through Europe earlier this month. The last two weeks have been especially brutal with my attempts to work 15 – 20 hours days just to catch up. And in the middle of all the traveling, speaking, business obligations, and deals I’ve been putting together, somewhere along the way I caught a really nasty bug. I lost my voice, and even had to miss an event, something I never do. Man oh man did it knock me out, and that’s not the worst of it. The past few days, between work and a terrible cough I haven’t been able to sleep. So the other day I went to see my doctor and he told me to get some rest, and prescribed me this super-strong cough syrup. Thinking I’m Superman I didn’t listen to the doctor’s advice and kept pushing through. Well yesterday I had to catch an early morning flight to an event. I rushed out the door and caught my ride at 4:30 AM to the airport. In my hurry, instead of taking the recommended tablespoon or two of the cough medicine I chugged a huge swig right out of the bottle. On the way to the airport I got so dizzy I had my driver turn back and changed my flight for later that day. Attempt two… made it to the airport, got there… and PASSED OUT! I almost died right there and then on the ground at my gate. I was revived… and of course they wouldn’t let me on the plane. Well I guess I’m not superman after all. In that brief moment I realized a few things that I’d like to share with you. Life is precious… if you don’t have your health what do you have? And the biggest deal I do doesn’t mean a thing if I can’t be around to enjoy the rewards. It’s important to relax and recharge. Even my European vacation wasn’t really a vacation – I was doing deals overseas. But taking day to relax and sharpen the axe goes a long way for health, clarity, and sanity. Anyway I’m here to live another day and help you succeed. Live through my mistakes and all the lessons you learn from others. And together we all win. Speaking of listening to the experts, this weekend I have business icon and Donald Trump’s right hand man, George Ross, on my radio show. If you’re in the listening area be sure to keep an ear out. Also, George Ross and several other business leaders will be joining me for a very special event I’m hosting next month for world leading entrepreneurs, real estate investors, and business leaders. I’m sending out personal invitations tomorrow to a select few so you may want to keep an eye out on your email box. So for now, I’m off to live another day. Last weekend’s interview was amazing. My ratings for the show were the highest all weekend and Kevin O’Leary sure did not disappoint. Kevin is the guy on the hit ABC show Shark Tank. He is the Simon Cowell of the business world, direct to the point and no BS. He is worth 800 million dollars and sold his company to Matel for 3.2 billion!!! For more information about my show and if you want to listen to some of my past shows go to www.jtfoxxshow.com. There has been a lot of waiting and talking about whether or not the first-time home buyer tax credit would be extended, and it seems as though the wait is over. A tentative deal was reached among the Senate negotiators agreeing to extend the it! Although this time around, first-time home buyers may not be the only ones with the ability to cash in. They are looking to add an additional new credit for those who have been in their current home for a consecutive 5 year period (within the past 8 years). 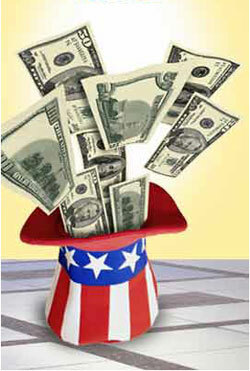 Although this tax credit is not quite the $8,000 many first timers are receiving, $6,500 sure looks better than $0! This is a positive note, especially considering what we wrote about last week, people who tried to take advantage of the tax credit by less by less than honest measures. We have been seeing signs of recovery in the housing market, could it be because of this tax credit? If they extend the offer to current home owners, might we see an even bigger boost in the market? If so, we can’t rely on tax credits forever, and this could all turn into one huge band-aid fix, and come time to pull it off, we might not be feeling so hot. Nonetheless, it is nice to see some life being brought into the mainstream of this market. Senate lawmakers are still arguing over how this new program will be brought to the senate floor. And with the IRS currently examining the program for fraud, we will just have to wait for finalization. But it’s looking really good for those of you hoping to take advantage of the first time, or what would be, current home buyer credit. Don’t forget, those of you who are first-time home buyers still have until the end of this month to utilize the program, no matter what, so don’t wait! Motorola Inc. and Verizon Wireless are aiming to give the iPhone a run for it’s money. On Wednesday they introduced their newest venture, the Droid phone. This device is the first to run Google Inc. software and promises to amaze. It’s about time that Verizon put up a little competition. The iPhone and AT&T have been dominating the cellphone and provider markets leaving Verizon to suffer a loss of almost half their subscriber numbers. The Droid does have many new features that the iPhone does not provide. For example, It will have a slide-out keyboard and the ability to run multiple applications at once. Will the partnership of Google and Verizon prove to be a worthy one? It is a major partnership. 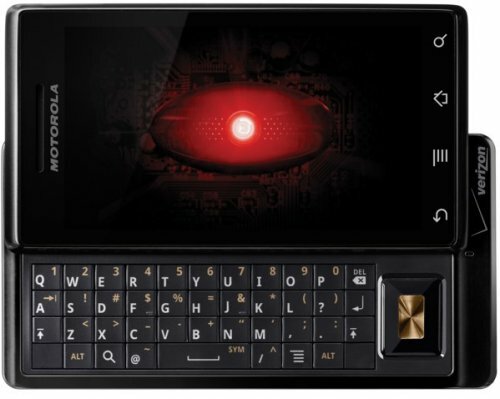 We will have to wait and see if The Droid can combat the iPhone when it hits stores November 6th. Will you be going to check out or pick up the Droid?